This page has been visited 22279 times since . Last update: 2018.08.14 (Tuesday) 15:35:39 EDT. Nanotubes belong to a class of materials which owing to their quasi one-dimensional structure exhibit a variety of fascinating properties and offer a diversity of issues for research of both fundamental and practical interest. This meeting will bring leading scientists in the area of nanotube science together to evaluate past and define future trends of this exciting field. The conference will address progress at the frontiers of fundamental as well as applied research and will allow participants to exchange ideas and results of their latest work in an informal atmosphere. Similar to NT'99, NT'01, NT'02, NT'03, NT'04, NT'05, NT'06, combination of invited talks and contributed presentations. 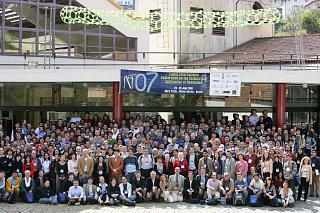 The guidelines for NT organization are stated in the Charta of the Nanotube Conference Series. An exhibit of nanotube related products is planned. 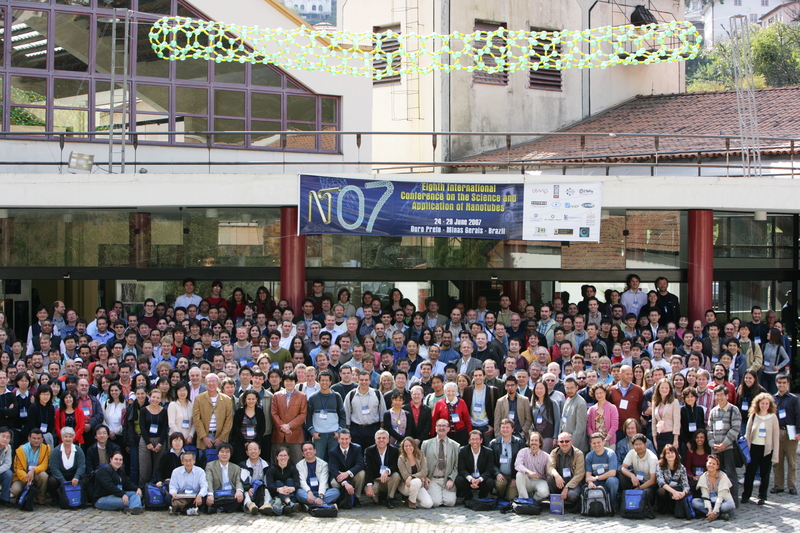 Click HERE for a report on NT07 by Gustavo Gazzinelli in the Brazilian Rede Nano magazine. The home page of the upcoming NT08 conference in France can be found at http://www.cnrs-imn.fr/NT08/ and the backup page is located at http://nanotube.msu.edu/nt08/. Information about the satellites will be linked to the NT08 web pages.